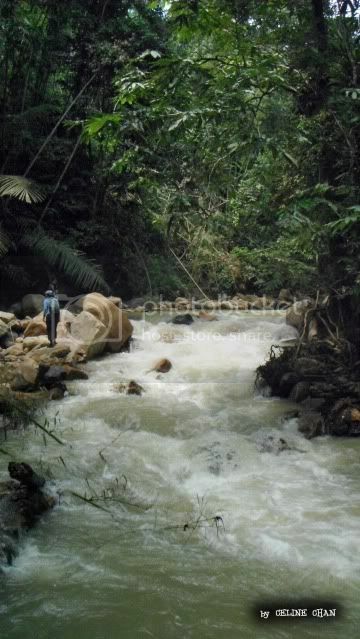 +/-9km from Kampung Sungai Perdak. 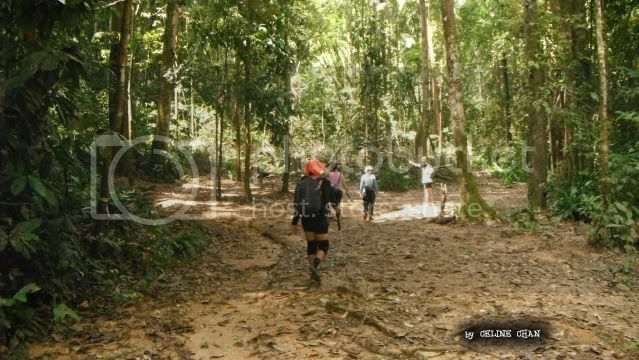 Walking on the logging track, plus trekking along the river. 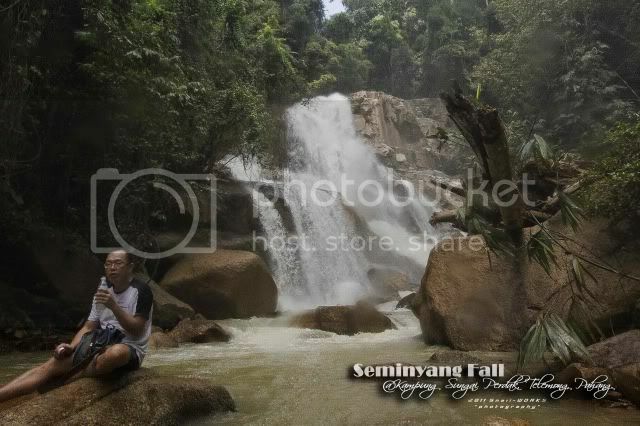 Nyangung Fall and Seminyang Fall are located on the same Perdak River. 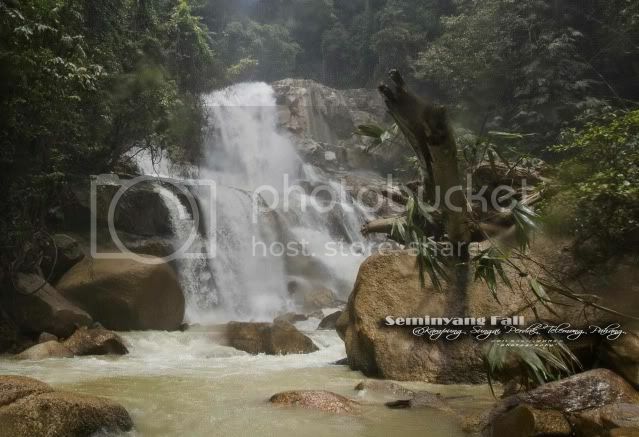 Nyangung Fall is at the lower part of river while Seminyang Fall is the upper part. These falls are located far inside the forest. 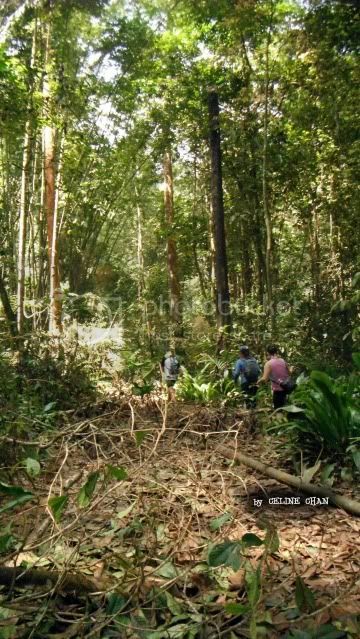 A logging track is built along the Perdak River and made the both falls are easier accessible. In order to go to both of the falls, someone need to take the road no. 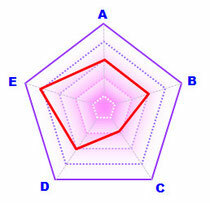 9, from Karak to Telemong. Before reaching Telemong, have to watch out for the junction to Kampung Perdak. More details can refer to Nyangung Fall page. 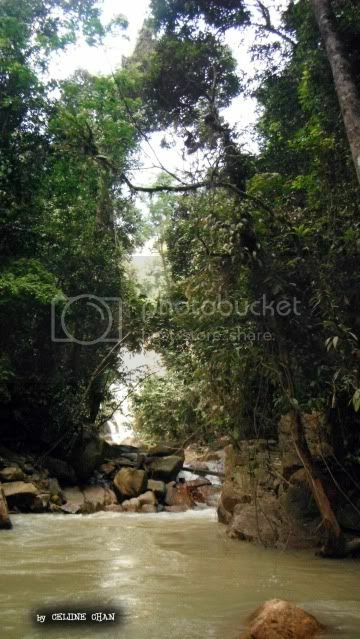 To go to Seminyang Fall, we had to trek further up than Nyangung Fall. We took the right path at a Y-junction which is lead to river bank. Looks like here was a campsite. We crossed to the right of Perdak River. Finally, we saw the Seminyang Fall from far. 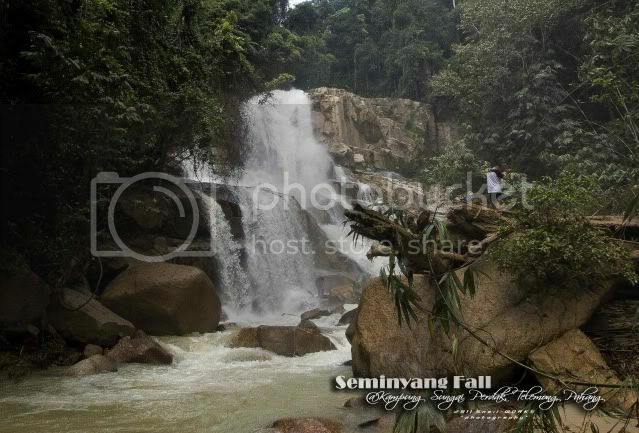 Soon we reached the Seminyang Fall. 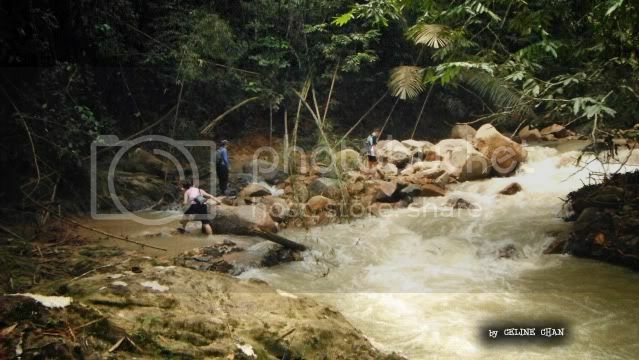 Lot of the fallen logs are stucked at the river bank, the slimy log surface made the journey difficult. The Seminyang Fall is spectacular, but here is not a playground. This time the strong current had prevented us to go closer to the fall. Have you been to the spectacular Seminyang Fall ?